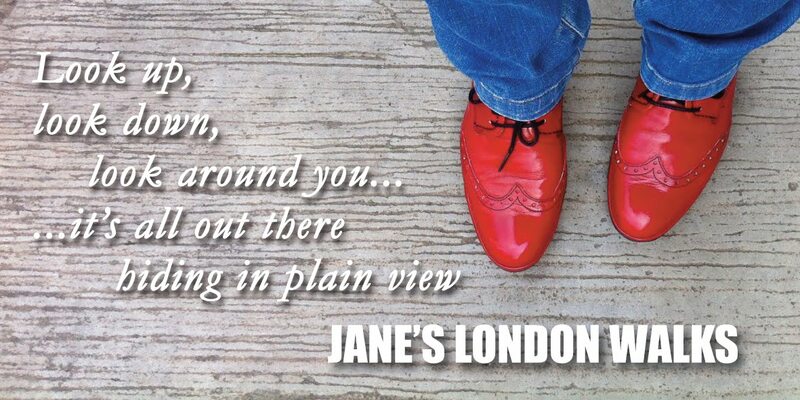 Jane's London: Caledonian Road manholes and cover plates – Jeremy Corbyn eat your heart out!! Caledonian Road manholes and cover plates – Jeremy Corbyn eat your heart out!! Jeremy's not the only pavement nerd in Islington. 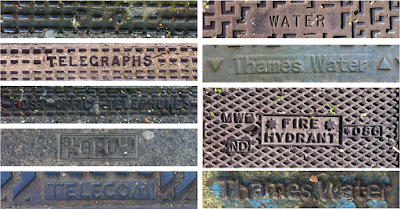 You are probably already aware that I am partial to interesting boot scrapers, flame snuffers, fanlights and coal hole cover plates. 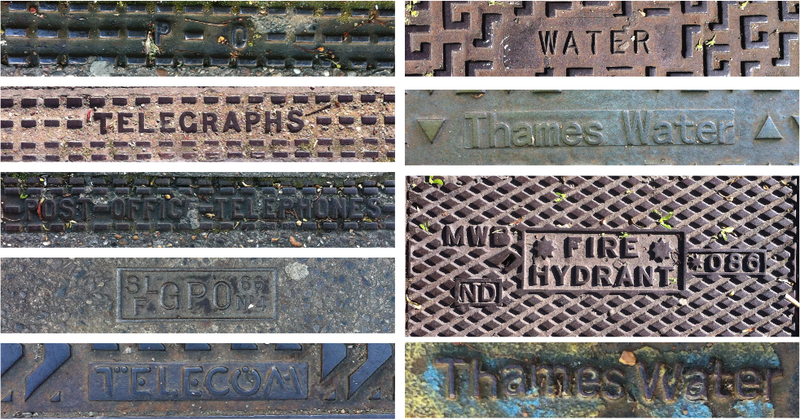 Well just like my MP who likes to photograph man hole and storm drain covers I too often scan the pavements and tarmac for unusual functional metalwork. It's not about crossing numbers off a list, as per a trainspotter (though Jezza might indeed have a shelf full of old ironmongers' catalogues), for me it's about the marriage of design and functionality, spotting a 'new' design I hadn't seen before; noticing new wordings and agreeable patterns. Designs have changed or have been adapted over the decades. Some companies have become completely defunct as utilities change and thus become metal ghosts of the past. 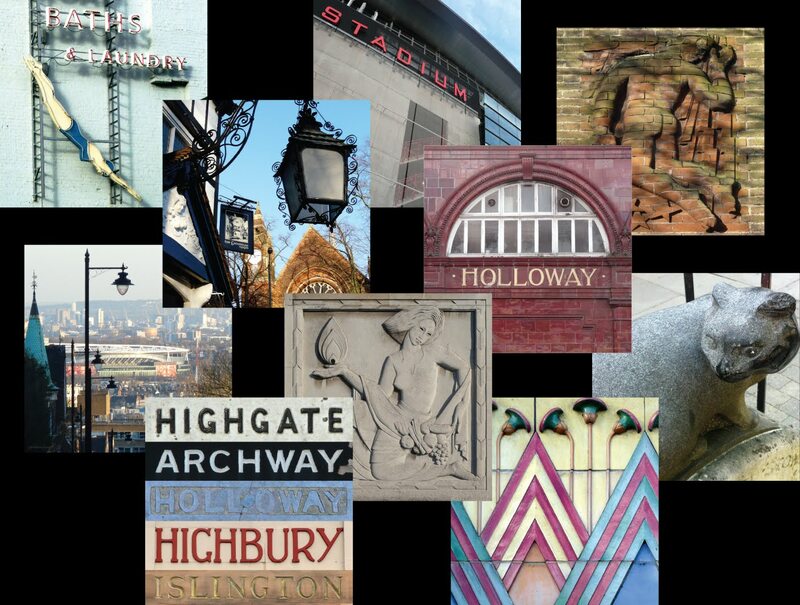 The twelve photos below, all taken along Caledonian Road between Holloway and Caledonian Road tube station, perfectly illustrate my point. Having noticed how the wording for specific utilities had altered over the years I took lots of snaps on the walk back to illustrate this. It always amuses me how other people on the street look at me in a strange way when I do this, – they probably think I work for the council or something! I also spotted a couple with Electrical Supply on them and another with Electric Light. A real super-nerd in this field would be able to accurately date all of the above and put them into chronological order. I'm just happy to notice the differences. 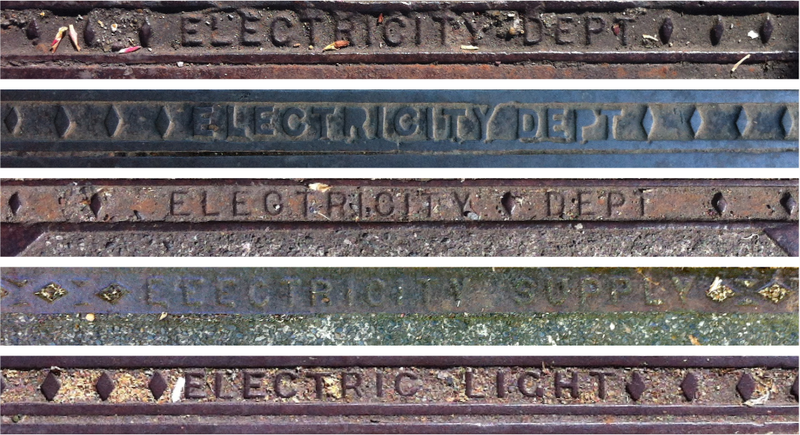 Above are four of the tramway cover plates in this particular stretch of road. In the 1920s the LCCT ran trams through Holloway to Caledonian Market and beyond. See here for some basic tram info. A short-lived compressed air tramway ran along this route from 1881-3. If anyone has any further info please do let me know. 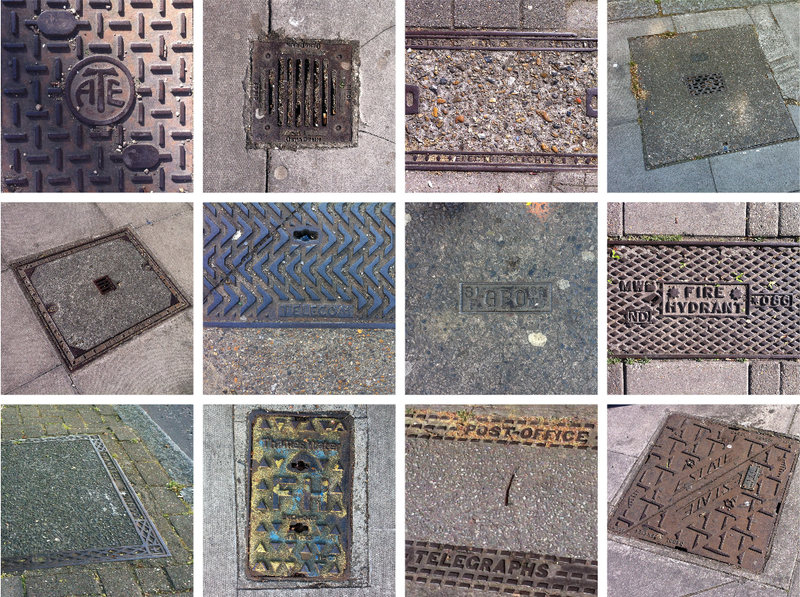 UPDATE (June 2017): Since writing the above, I have noticed tramway covers elsewhere, though they seem to be in batches and then stop for a while, as in the middle section of Caledonian Road and some stretches of Holloway Road and Upper Street.